Japanese electronics giant Panasonic said Tuesday its first-quarter net profit jumped more than 17 percent thanks to growth in its automotive-related business. The Osaka-based company said net profit for the April-June period rose 17.6 percent to 57.4 billion yen ($515 million), from 48.8 billion yen the previous year. 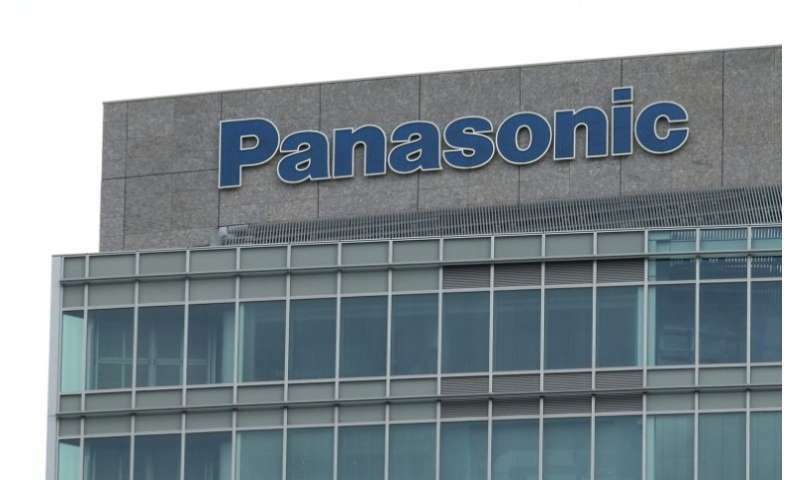 "In Japan, the US and Europe, the automotive business grew... sales grew for the energy business such as automotive and storage batteries and for industrial-related business," Panasonic said in a statement. The automotive sales increased thanks to "market growth for eco-cars and expanded demand in advanced driver-assistance systems", Panasonic said. Panasonic has partnered with local automotive titan Toyota and has provided batteries for US electric vehicle innovator Tesla, as it explores ways to expand beyond its mainstay electronics operations. Operating profit jumped 19.1 percent to 100 billion yen while sales were up 7.7 percent to two trillion yen, the company said. The company left unchanged its full-year forecast, which sees net profit climbing 5.9 percent to 250 billion yen with sales rising 4.0 percent to 8.3 trillion yen.